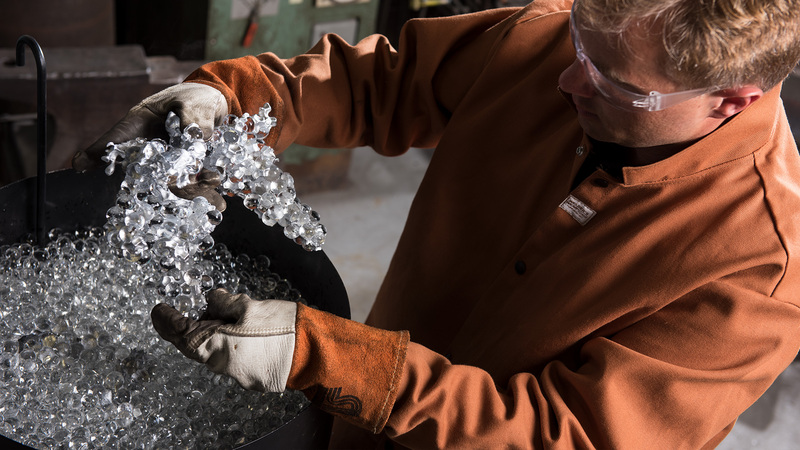 When the designers at ART + ALCHEMY set out to develop an in-house molten aluminum casting process, that is exactly what happened—with spectacular sculptural results. The Coral was envisioned; an artistic interpretation of one of Earth’s most beautiful living art forms. 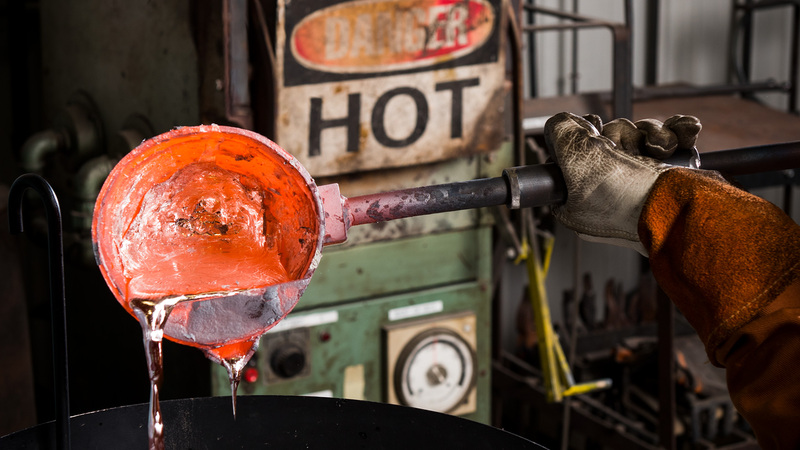 The designers utilize a combination of hand-poured casting techniques to coax the molten aluminum into organic forms; every piece similar but singular in its individuality. 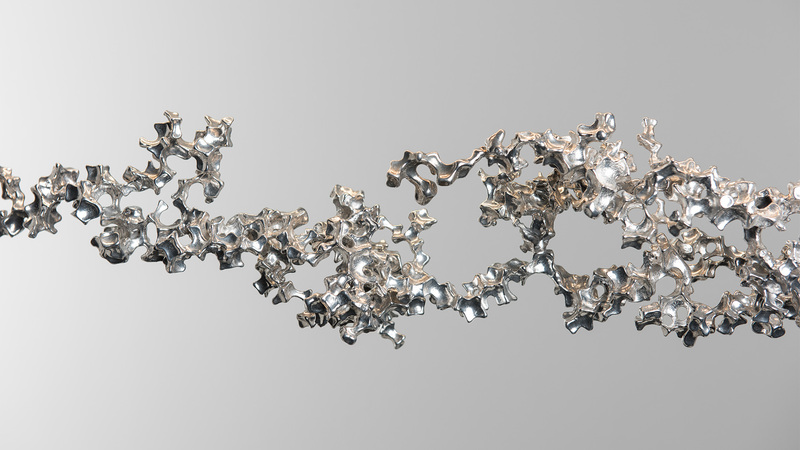 Demanding the hand of an artist, these small sections resembling live coral are perfectly mated together. Cut, polished and meticulously welded; and then, hand-polished yet again, to form a larger creation. The Coral Console Lamp provides an impressive focal point spanning over 3ft, and the Coral Pendant is stunningly grand at over 4.5ft in width. 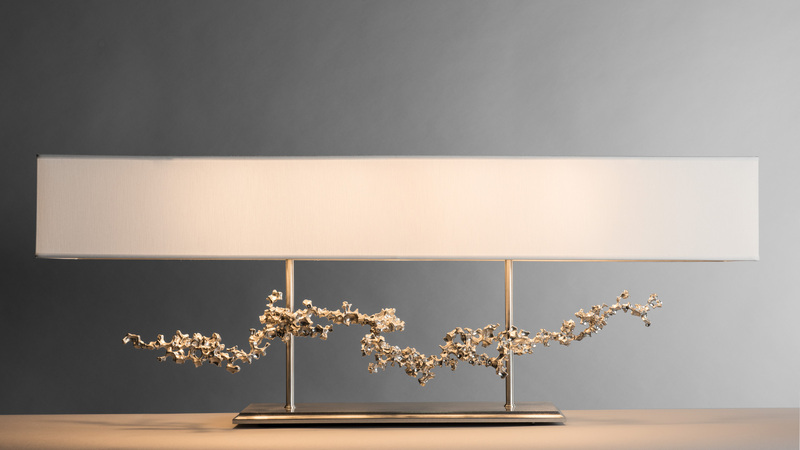 Each Coral composition is an airy and expressive free-flowing sculpture.With creative origins capricious and organic in nature, the finished result is expertly controlled and can be modified to meet your design specifications. 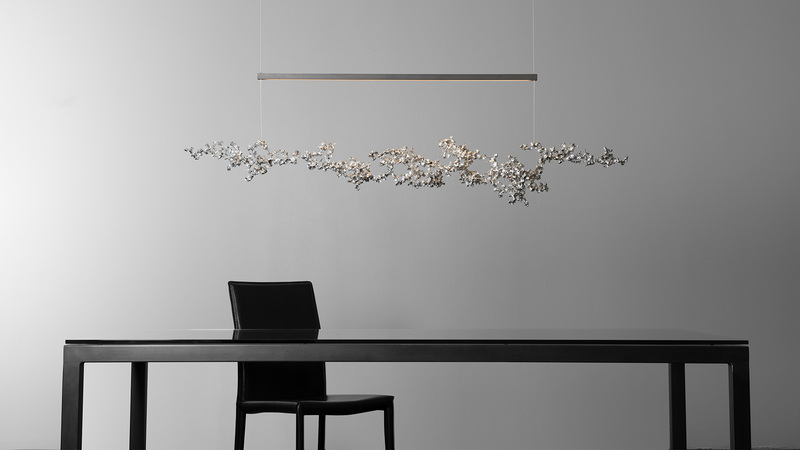 Available as shown in either pendant or console lamp configurations; the Coral by its nature, has limitless possibilities in size, shape and finish.